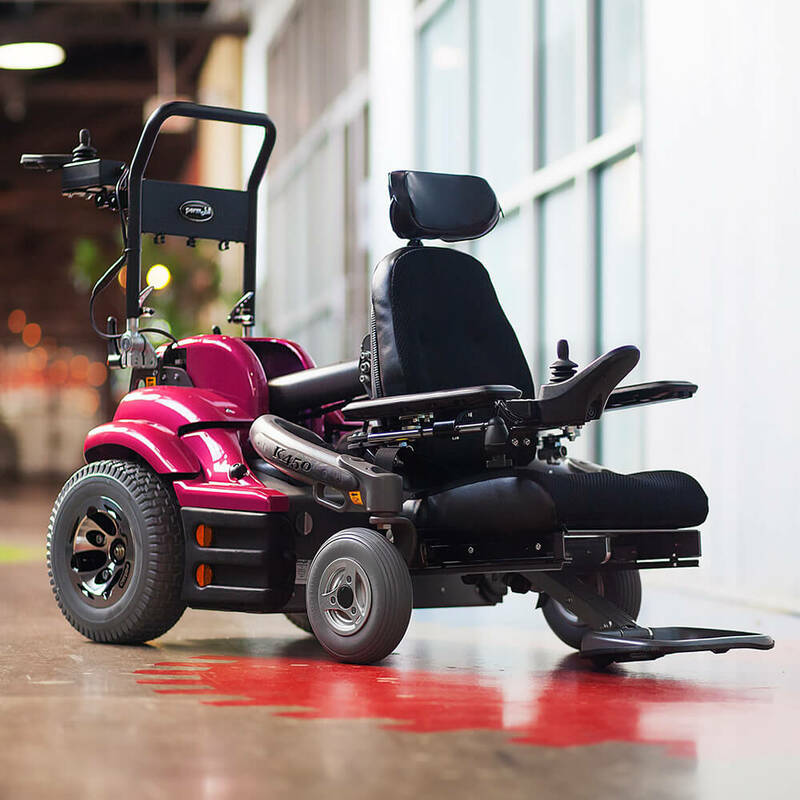 With a suspension system on every wheel the K450 MX offers a smooth ride; whether going down the corridor at school or to the shops. 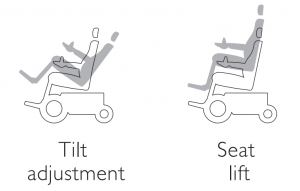 The powered high/low setting makes it possible for children to get down to the ground. Perfect for listening to a story or switching to playing with others. 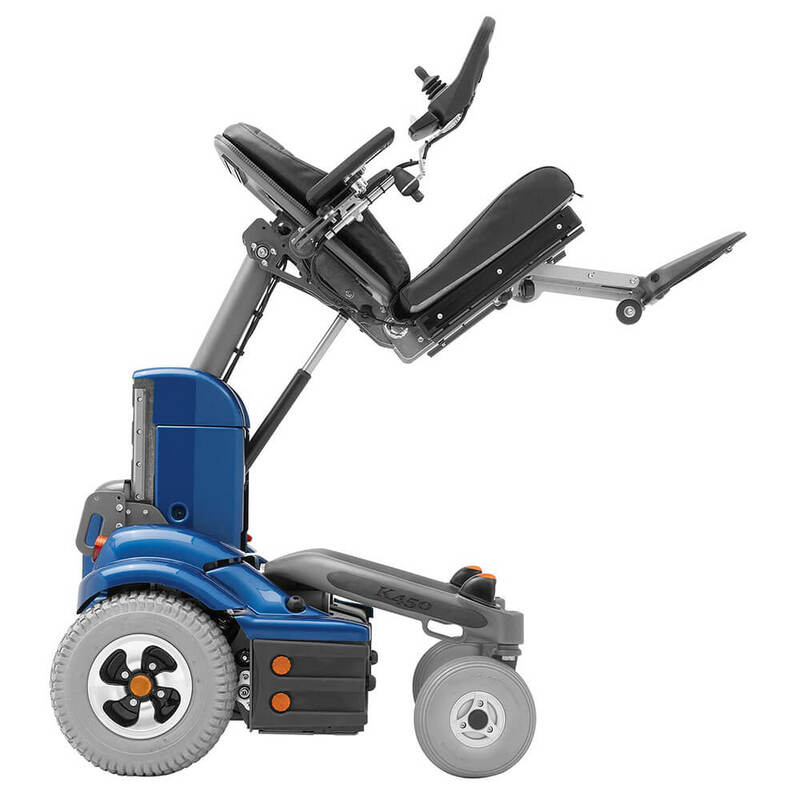 The powered high/low setting ranges from 100 – 655 mm, making it easy to sit at a table or desk and even to reach down to things on the ground. 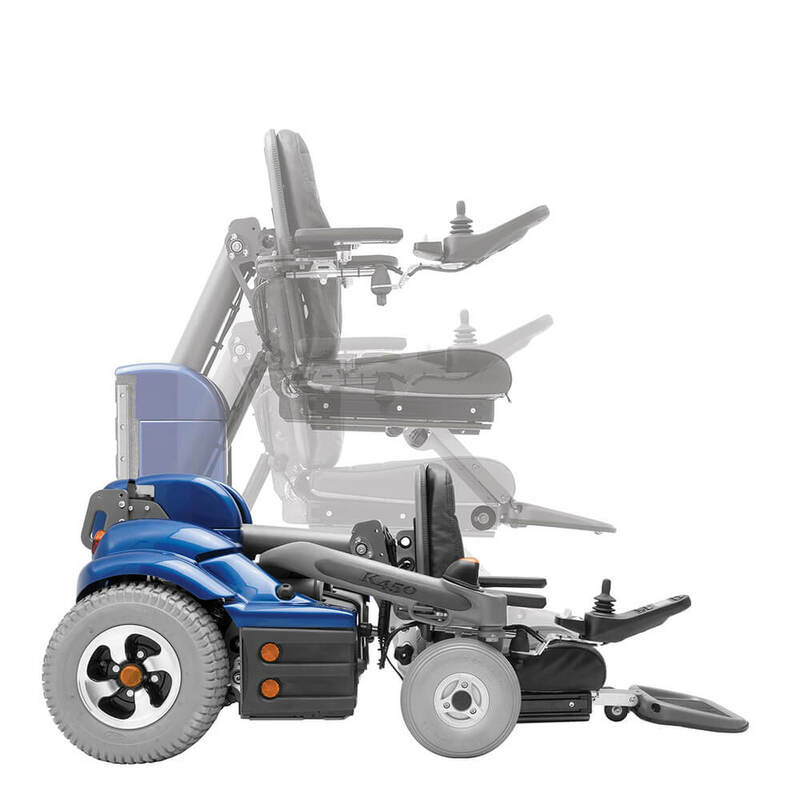 In addition the K450 MX is equipped with R-net electronics with its numerous electrical options as standard, including powered high/low setting, seat-to-floor adjustment and optional powered seat tilt. The modular seating system has adjustable legrest attached in the center and is supplied with a package for unrestricted growth, something every child needs. 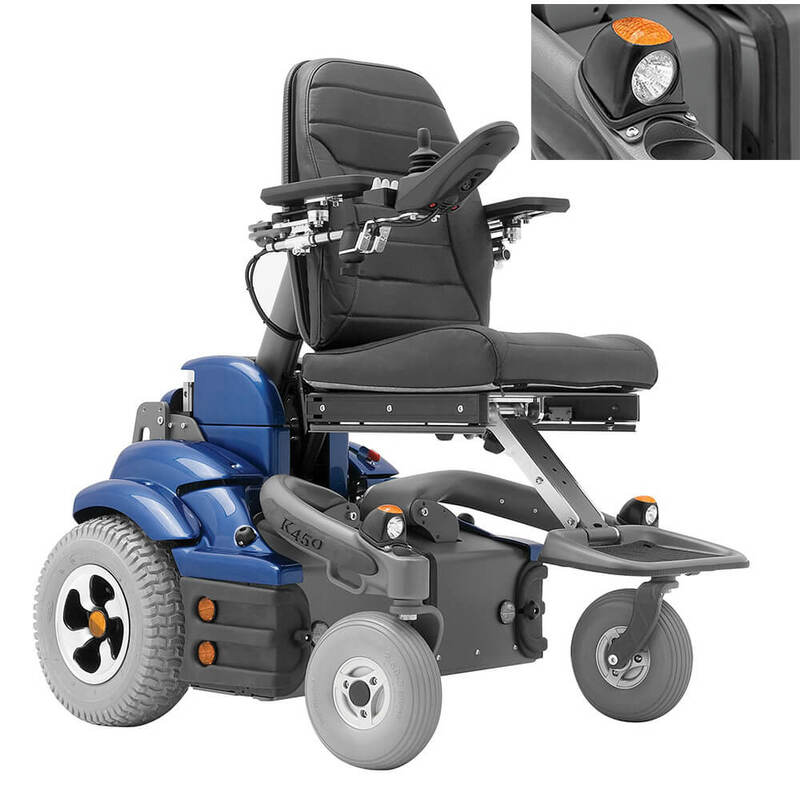 Larger seat dimensions are available; so this wheelchair is also extremely suitable for small adults. R-net electronics: intelligent control system (ICS) with programmable settings.